Every year, reservations for the West Coast Trail disappear within minutes of the booking system’s January opening. Often billed as the best backpacking trip in British Columbia (sometimes even the whole world), it is easy to understand why so many people clamour to hike the West Coast Trail. The problem is, there just simply isn’t enough spots for everyone. The first limitation is that the West Coast Trail is open just five months of the year. Second, only a maximum of 65 hikers may start each day. 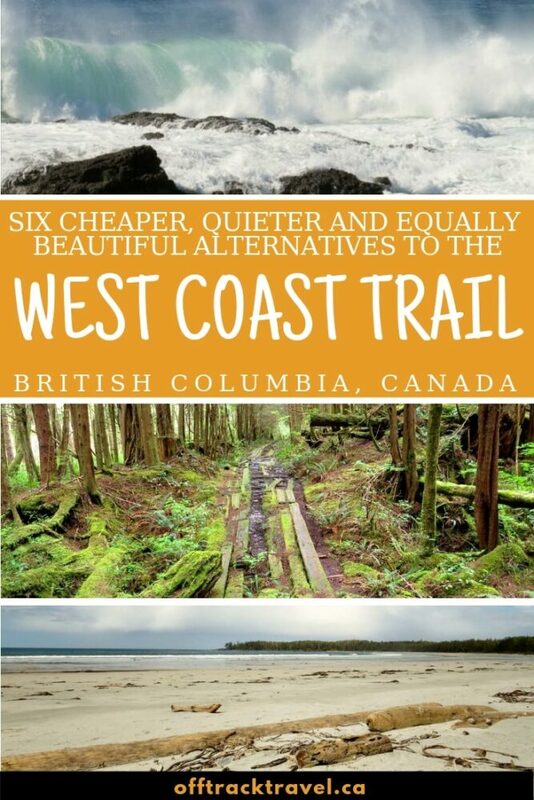 The great news is that there are alternative hikes to the West Coast Trail (WCT). 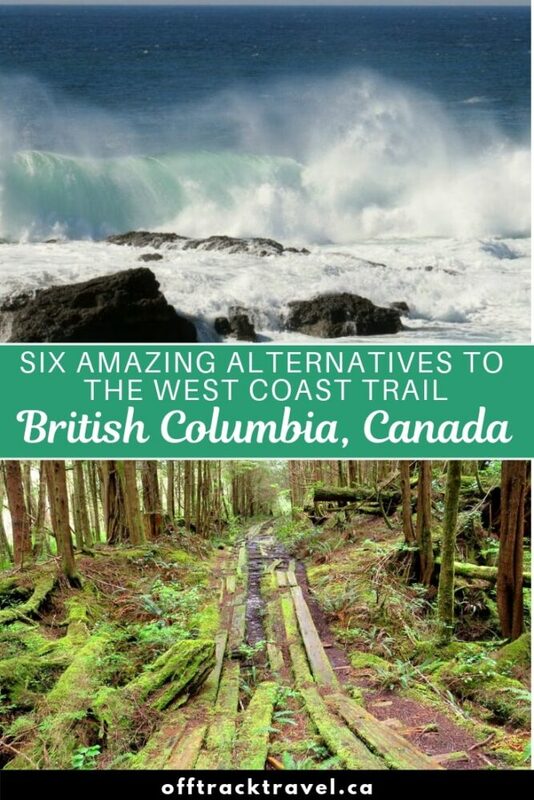 I’ve never done the West Coast Trail but I’ve also not had the urge to yet. There are so many other amazing backpacking trails across British Columbia that more command of my attention. The best part is that most of them have zero or minimal fees, compared to the WCT’s $192 fee per hiker. These trails also attract far less people. 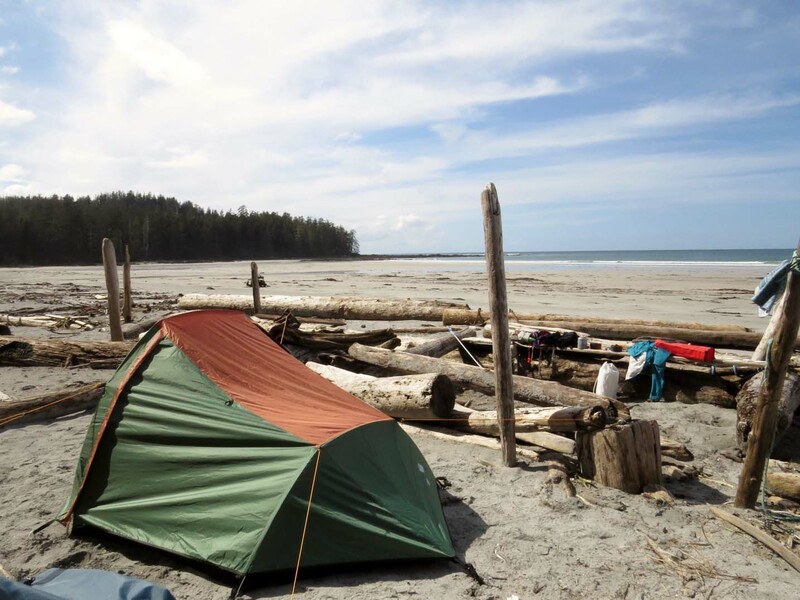 Here are six coastal BC backpacking trips that offer a great alternative to the West Coast Trail, with more solitude, fewer fees and no reservation required. Some I have done, a few I hope to hike soon and the others remain on my bucket list (for now). Cape Scott has to be one of the most unique backpacking trips in BC. Alongside the sweeping sandy beaches and epic Pacific sunsets you’d hope for on a coastal hike, there’s also intriguing signs of civilisation that are being surrendered to nature. 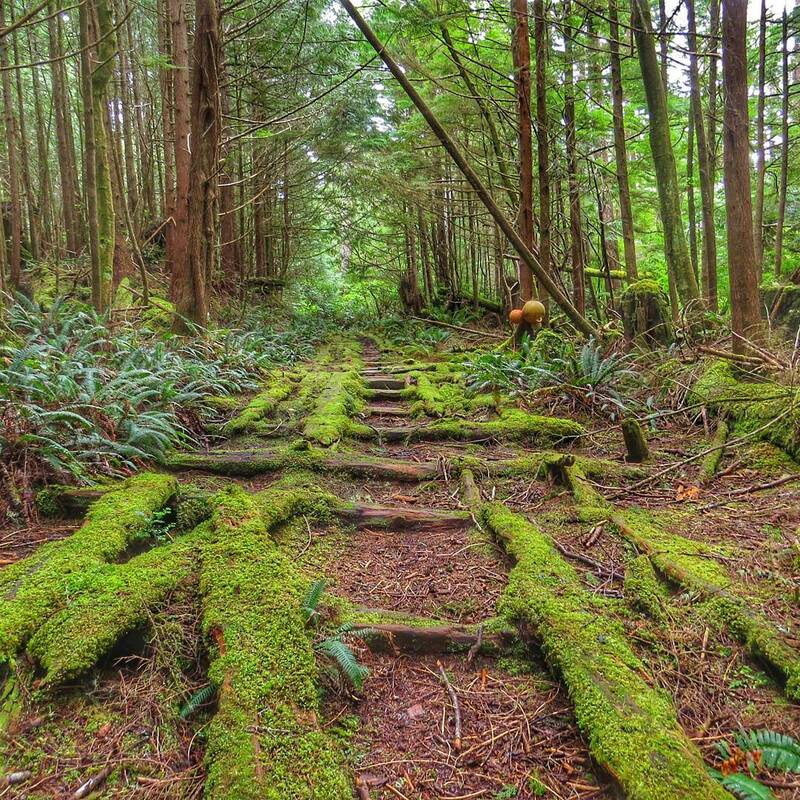 Moss covered planks of a military road, a meadow surrounded by the rainforest, rusting pots and pans nestling in the ferns. At the end, a lighthouse perches on the rugged coastline, heralding the end of Vancouver Island. The Cape Scott Trail is as challenging as it is interesting. Despite the majority of the trail is mostly flat, it is not quite a walk in the park. Hikers must be prepared to transverse giant fallen trees, slippery boardwalks and swathes of mud. 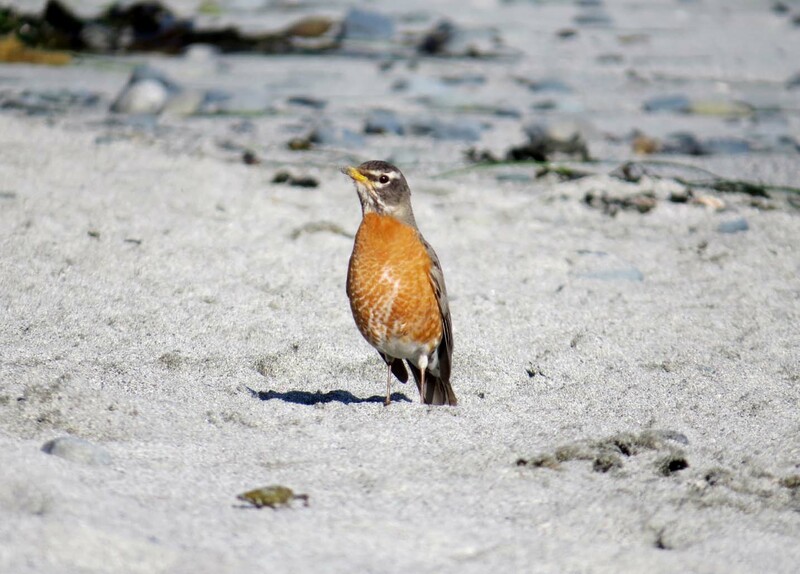 Essential information about this alternative West Coast Trail hike: The Cape Scott hike begins and ends at the San Josef parking lot. It takes around two hours to drive from Port Hardy to the San Josef parking lot. 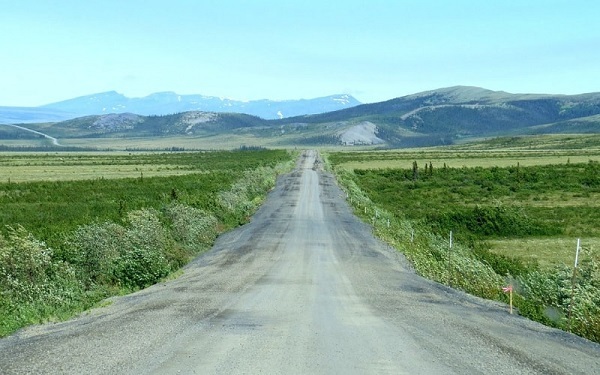 Much of the 70km route consists of gravel logging roads. There are nightly camping fees of $10 per night, per adult collected between 1st May and 30th September. 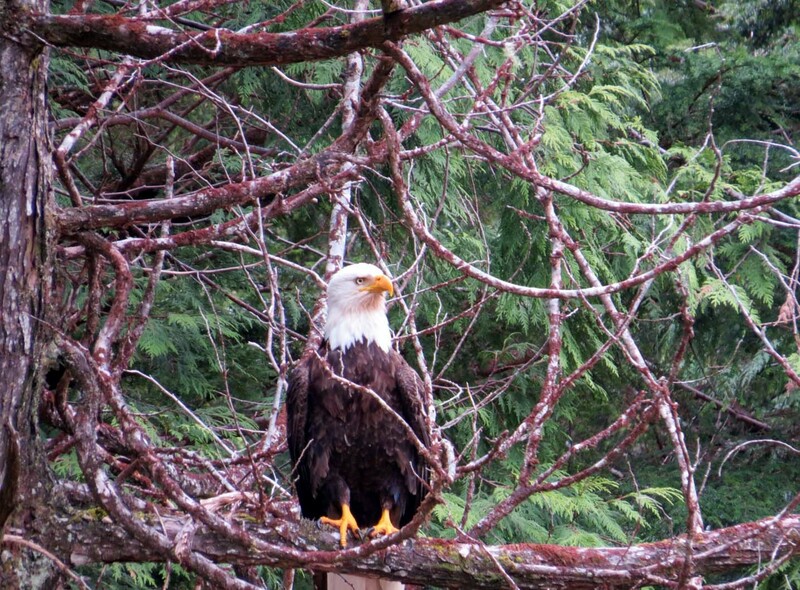 Cape Scott Park is open all year round. The North Coast Trail is the West Coast Trail’s wilder, less developed cousin. It is a bit like what I imagine the WCT to have been like maybe twenty or thirty years ago. This route along Vancouver Island’s northern coastline is a journey through some of the wettest and most rugged terrain in British Columbia. 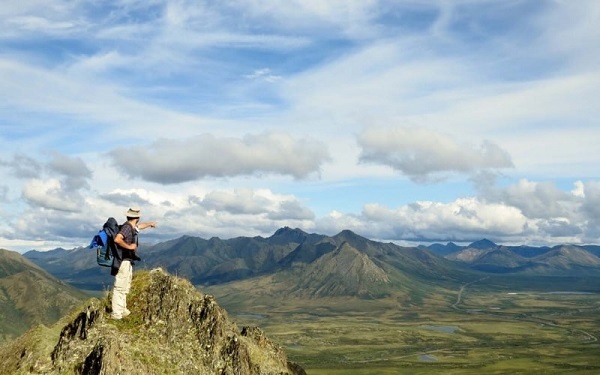 This difficult hike is for physically fit, experienced backpackers only. 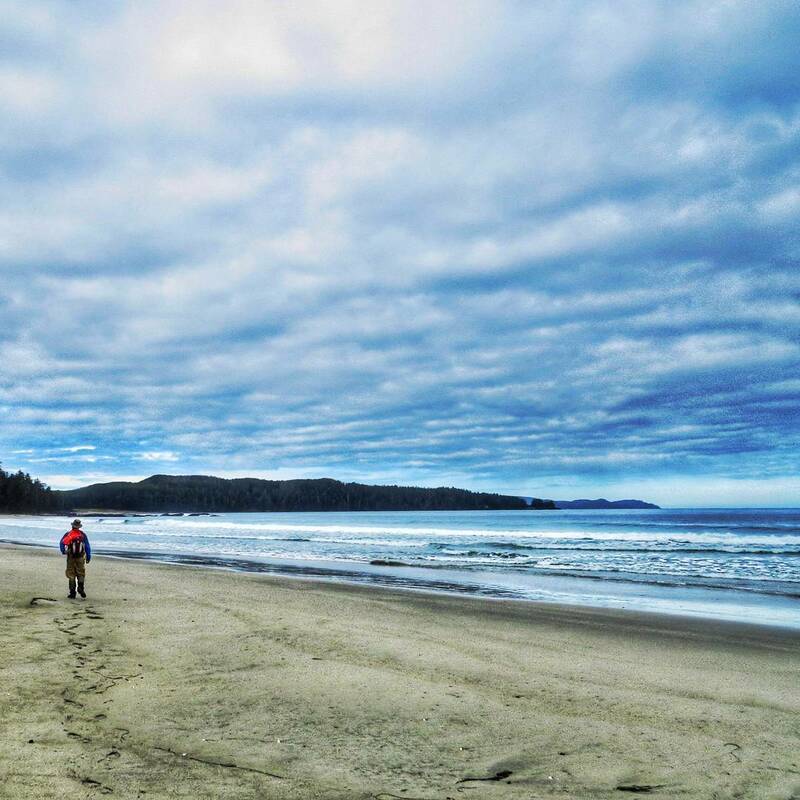 Those who do venture on the North Coast Trail will be rewarded with unbeatable solitude, a high chance of wildlife encounters (whales in particular), impressive old growth forest and several spectacular stretches of sandy beach. The North Coast Trail is an extension to the Cape Scott Trail, and, as such, hikers transverse 15km of the other route. Essential information about this alternative WCT hike: A 60 minute water taxi from Port Hardy is required to reach the eastern trailhead. The southern trailhead (shared with the Cape Scott trail, above) is accessed via a network of logging roads. A shuttle bus is available. The Juan de Fuca Trail is a shorter and quieter yet similarly beautiful version of the West Coast Trail. It is located just south of the WCT, with Port Renfrew being the closest supply town for both hikes. The Juan de Fuca path also closely follows the Pacific coastline of Vancouver Island, featuring spectacular beaches, rainforest, waterfalls, rocky coves and coastal cliffs. But the Juan de Fuca Trail has a distinct character of its own, with this hike being by no means a ‘lite’ version of the WCT. It is muddy, physically challenging and can be just as isolated at times. 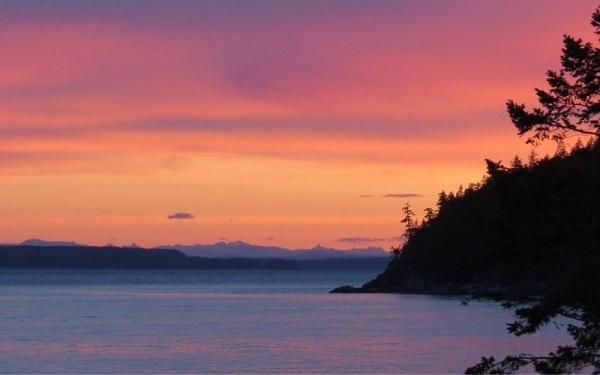 Essential information about this alternative WCT hike: China Beach, the southern trailhead of the Juan de Fuca hike, is easily accessible via a short (70 minute), paved drive from the city of Victoria. There are other access points along the hike with parking lots. Shuttle buses are available. A true testament to the amazing work of volunteers, the Sunshine Coast Trail is Canada’s longest hut-to-hut hike. 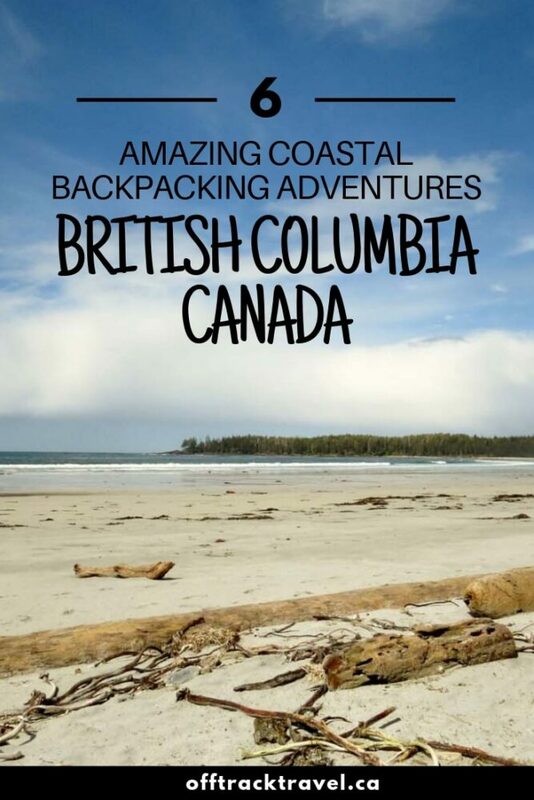 Celebrating all that the wonderful Sunshine Coast has to offer, the trail leads hikers through old growth forest, on top of mountains and along rugged coastal shorelines. There are 14 huts on this varied route, some with epic panoramic views (Tin Hat Mountain). At 180km, the full length is much longer than the West Coast Trail. Thanks to the two dozen entry points along the route, it is also possible to choose a section for shorter hiking trips. Essential information about this alternative WCT hike: The northern trailhead is at Sarah Point, about 15km north of the small town of Lund. Most hikers take a water-taxi or hire a shuttle. The southern terminus is at Saltery Bay, very close to the BC Ferries terminal. The Nootka Trail follows a portion of the coastline of Nootka Island, a large landmass on the western side of Vancouver Island. Due to the logistics of accessing this hike (see below), it is one of the least traversed of BC’s backpacking trails. Those that make the effort will find a trail featuring plenty of scenic beach hiking, frequent wildlife encounters, an insight into First Nation culture and interesting coastal terrain. Interesting does come with some challenges though, with these including jagged headlands, deep mud, creek crossings, tidal lagoons and slippery rocks. 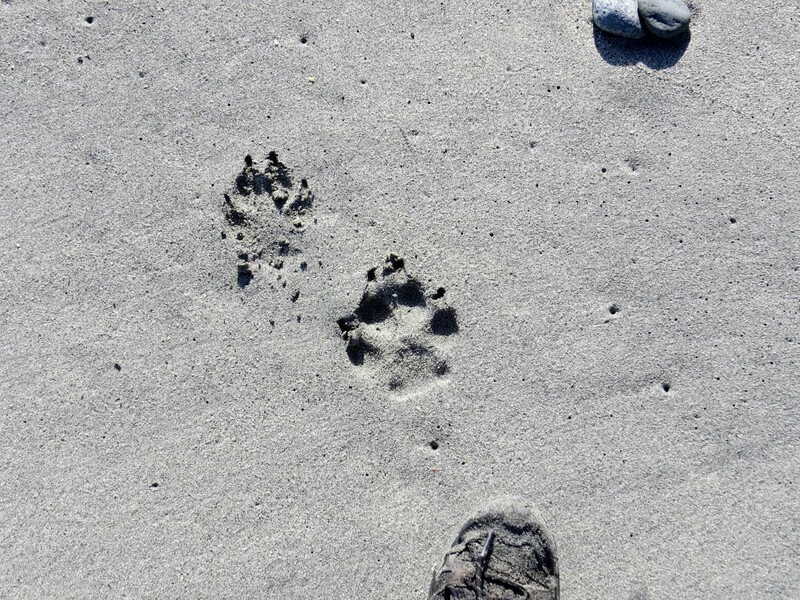 Essential information about this alternative WCT hike: There are a couple of different options for hikers to access the Nootka Trail’s southern trailhead (Yuquot/Friendly Cove). There are far fewer for the northern terminus. The most straightforward (but most expensive) method is to get a seaplane from Gold River to the northern trailhead of Louise Bay Lagoon. The return journey could involve another seaplane back to Gold River from Yuquot. A cheaper option is to take a water taxi or scheduled Uchuck III boat back from Yuquot to Gold River. Perched on the west coast of Vancouver Island, the Hesquiat Peninsula Trail is completed by only dozens of hikers every year. The northern trailhead, Escalante, is a short water-taxi journey south-west of Yuquot, on Nootka Island (see Nookta Trail, above). 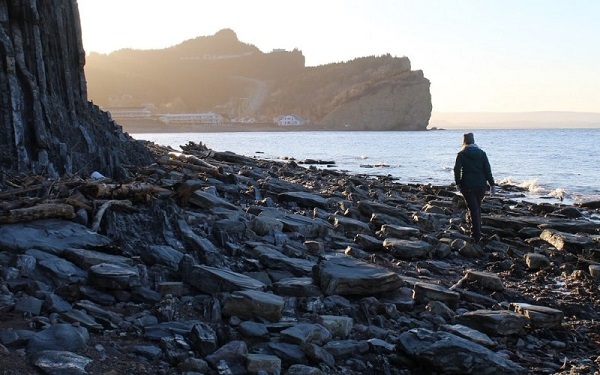 Besides the isolation and solitude, what makes the Hesquiat Peninsula Trail particularly special is that almost the entire route is directly on the shoreline. 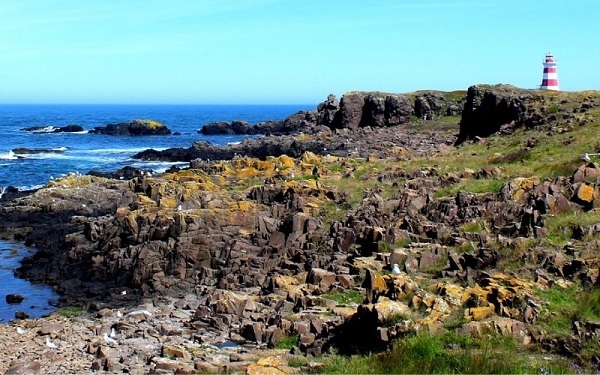 Despite no elevation gain, hiking along the coast is incredibly varied with sandstone rock shelves, pebble beaches, tide pools, rocky cliffs, pocket coves, boulders and beautiful stretches of sand. Near the end, there is the opportunity to visit the pioneer homestead of Cougar Annie’s Garden. Essential information about this alternative WCT hike: It is a bit of an adventure in itself to reach one of the trailheads of this hike. Of the trails listed here, the Hesquiat Peninsula is the most complex (read: expensive) to reach. The easiest way is to take a seaplane to Escalante (the usual starting point) from Gold River or Tofino. For the return trip, another seaplane would need to be arranged for pick-up at the southern trailhead at Boat Basin. British Columbia offers a multitude of backpacking trip options away from the coast and into the alpine. Staying on the theme of this post (amazing hiking trips with no reservations required), my top recommendations would be E.C. Manning Park and Valhalla Provincial Park. Both have a network of hiking trails on offer as well as good camping facilities and easily accessible trailheads. The boundary of E.C. Manning Park is an easy two hour drive east of Vancouver. 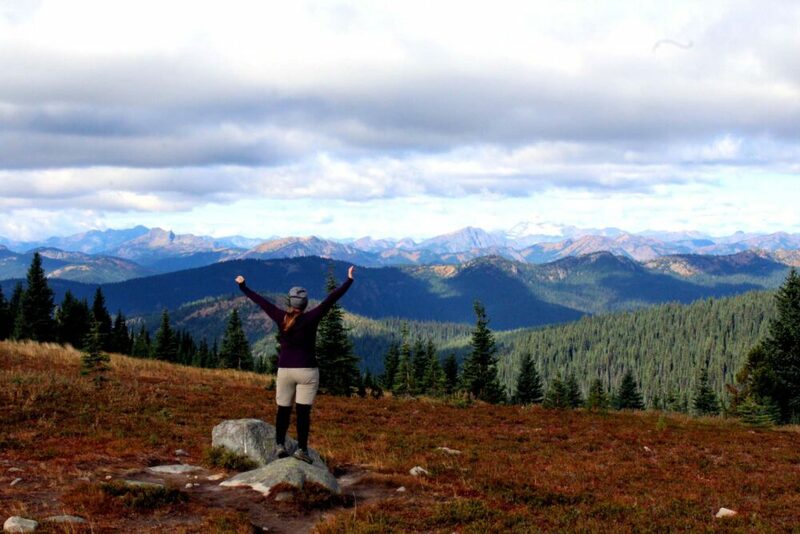 Once at the park, you’ll find a choice of valley and alpine hikes of varying difficulty. It is even possible to hike all the way to the USA border. My pick in summer would have to be the Heather Trail, a beautiful and approachable hike through wildflower meadows, backdropped by an incredible array of mountains. Valhalla Provincial Park is located in the western side of the Slocan Valley, about an hour’s drive to the northwest of Nelson. From Vancouver, the park is an approximate eight hour drive. 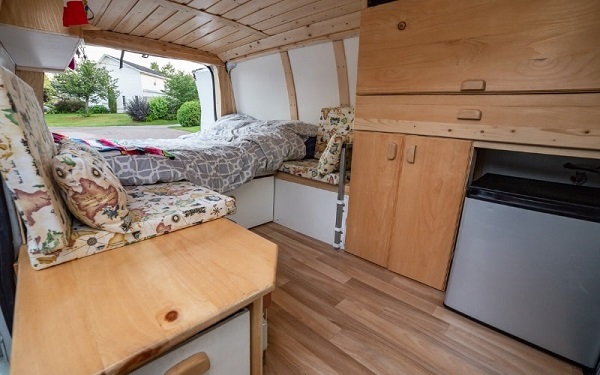 In addition to a dozen different trails (ranging from overnight hikes to multi-day), there is also wonderful canoe camping almost all the way along Slocan Lake. 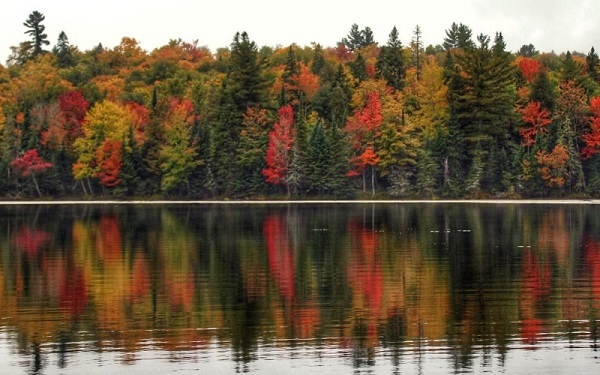 A hybrid canoe/hiking trip is a great way to make the most of this stunning park. The 10 Essentials – Check and double check that you have the 10 Essentials before setting out on any backpacking trip in British Columbia. Sturdy hiking boots. All of the trails mentioned require a good pair of shoes. Unless you’re an experienced ultralight trail runner or thru-hiker, you’ll need sturdy hiking boots. I love the Oboz range of hikers, for day hikers as well as backcountry treks. Bear spray. British Columbia is bear country and every hiker should be prepared. Carry a full bear spray canister and know how to use it. Always carry bear spray on your person (with a holster), not in a backpack. Bear hang equipment. The majority of BC backpacking trails mentioned in this post do not have bear caches at designated campsites. You must be prepared to hang your food. Bring at least 15 metres of strong rope or cord. Satellite communicator. On the more remote hikes listed (Nootka, Hesquiat, North Coast), you may want to consider bringing a satellite communicator such as an InReach SE. Gaiters. Coastal British Columbia is wet, no question about it. Gaiters offer protection for the lower legs against water, mud and rock abrasion. I would consider them essential on any coastal hike in BC. Tide tables. For the Juan de Fuca, North Coast, Hesquiat and Nootka Trails, it is essential to bring a tide table of the area. Otherwise, you may become trapped by incoming tides and unable to continue (or backtrack). Hiking poles. Even just one will help when traversing hills, coastal cliffs and slippery rocks. We love Black Diamond’s incredibly light and compact Distance Z series. Your knees will thank you, I promise. 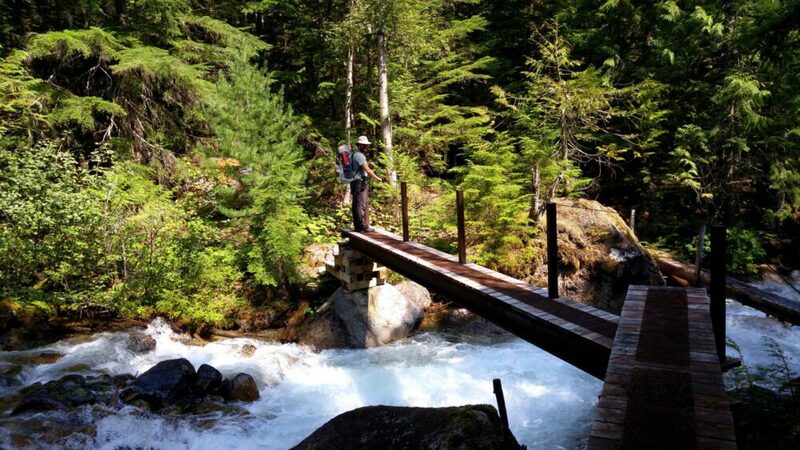 Which of these BC backpacking trails will you try?